Applying for a loan, getting a new office or company car? You’re probably going to need an income statement in order to get investors and creditors interested in your company as well. 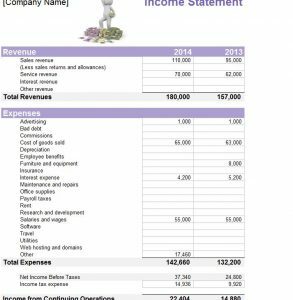 The Income Statement Sheet is the best and most efficient tool to help you meet that goal. The document is a simple Excel sheet that tells you exactly what you need to enter on each line and when you’re finished going through the single page of this template, the sheet will automatically calculate the totals for you for a fully functional and ready-to-go income statement. If you want to learn more about this free document, just read the guide below. After you have successfully downloaded the free template file to your computer, begin in the “Single step” tab below. This is a simplified version of the document that will make the process quick and easy for you. You will start entering your information at the top of the page, in the section marked “Revenue.” As you might have guessed, this is where you will enter the revenue your company generates from year to year. After you have finished this section, make your way down to the “Expenses” section. 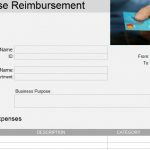 Go through this list and enter all the important expenses that cost your business money from year-to-year. The template will calculate these totals for you as well. Also, at the top of the page, you can enter your company’s name and replace the stock image with your logo. You may have noticed some of these categories might not work for your company. 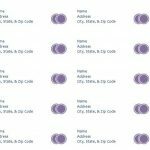 Feel free to change the categories to items that fit your company best by clicking on the cell and writing something new instead. There is also a “Below-the-Line Items” section for adding items that may not fit the above categories but still need to be mentioned. 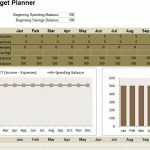 The Template will then give you the final net income at the bottom of the page. The “Multi-Step” tab simply adds a new section for including the cost of items that you might sell in your business or even manufacturing costs. You can use this template to create a professional business income statement quickly and effortlessly.